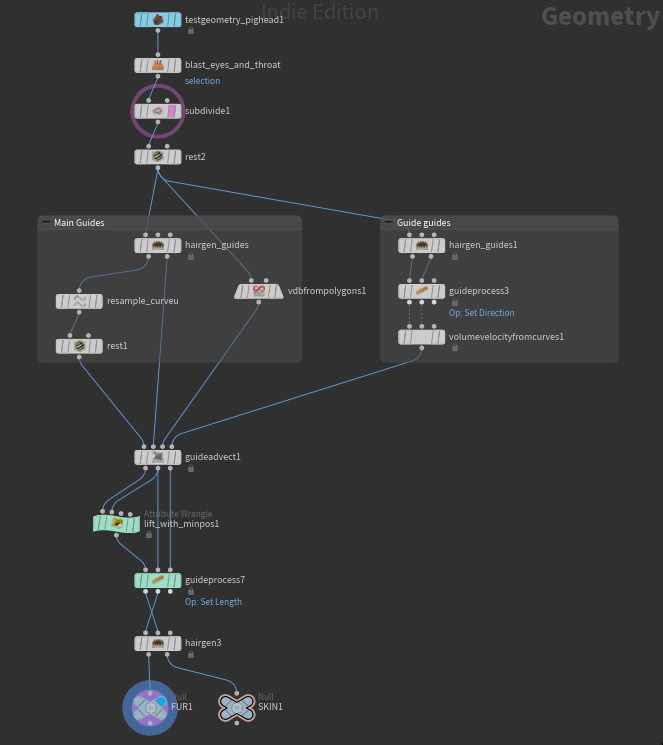 On a Guide Process node, go to the Masking tab and check Use Curve Mask. You can also define your own “mask” attributes on the guides and pipe them in via the Blend dropdown. Hard to tell without an example hip file but i remember i had a similar problem and that i checked “Fix Boundary Seam” on the UV Texture node. Not entirely sure is that will fix your problem. It might also be related a changing number of points on the splines you are sweeping. But then again. Hard to tell just by looking at the images. You can set shop_materialpath as a point attribute on the points you are instancing on. The instances should pick up the material specified. PDG » Why we don't have a dedicated TOP context? /obj is basically an “all contexts” context as it can contain any of the other contexts. Technical Discussion » script sop broken? Yes it is a little weird But i think it is because you can point to an hscript file and it will execute but not python. Technical Discussion » Change a curve intrinsic uv or basis in VEX? I dont think your list array will be updated inside the same wrangle you are manipulation it in. f@foo will return list from line one. What happens if you turn list into an attribute and read it in a new wrangle downstream? Technical Discussion » Hdalc - Custom path. Make sure you keep the “;@/otls” at the end of the line. Here is an alternative way to set the initial guide direction with two sets of guides. One set (guide guides if you like) with low density that sets the direction for the advection of the main guides. Not sure why you do all the peak in/out stuff at the end there. Isnt a singel minpos() sufficient to get all the guides glued to the skin? Might be missing something though. I see. If you have decent uv you could Polyframe from uv and use tangentu as furdirection on the Guide Groom and Ray the rest, or use Guide Initialize with 0 Lift and Ray that with min distance. 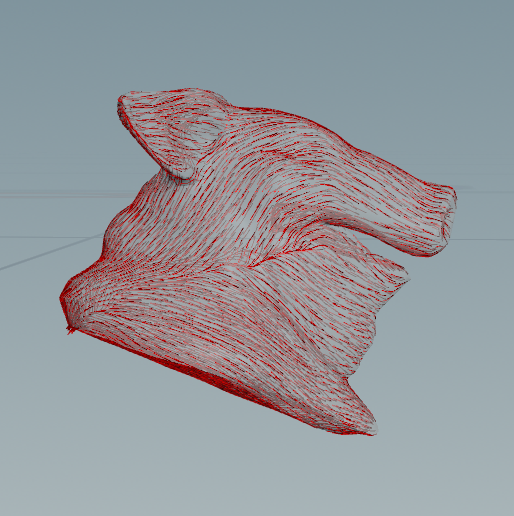 Its rather straight forward using the Curve Advect tool and drawing the curves the guides should align to. 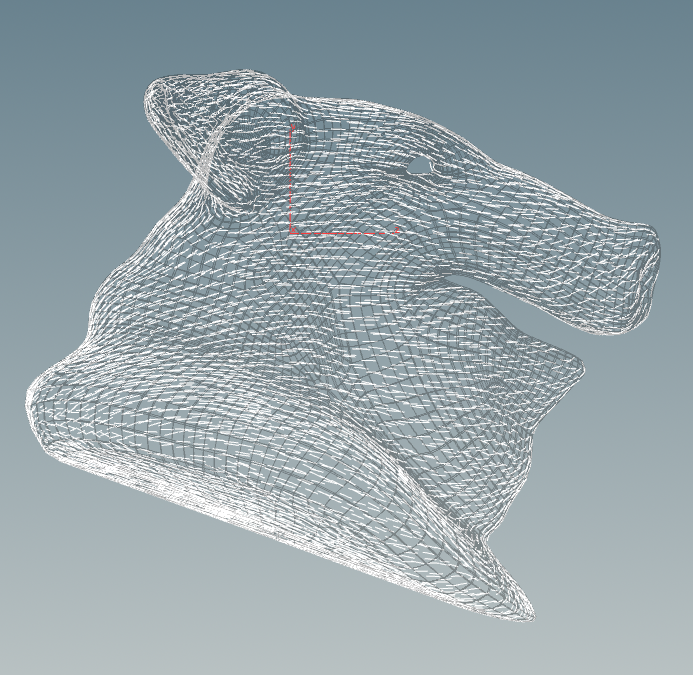 There is a Surface Lift parm on the Volume Velocity from Curves that defaults to 0.5 or something. Might want to set that to 0. The Voxel Scale parm can also be lowered to get the guide closer. Try Guide Advect after initial Guide setup. That`l give the Brylcreem look you are after. Technical Discussion » overwrite TOPs output? Im also a little confused by this exact behavior. Dirty and Cook doesnt seem to regenerate the nodes output if its already present on disk. Right click -> Delete output and then Dirty and Cook is what i end up doing. Cool! Didnt know math.h was included by default. Good to know. Then those definitions will be available in your code. , and place the file in YOURPREFSDIR/vex/include/mystuff.h. To use it in vex put #include <mystuff.h> in your vex code. 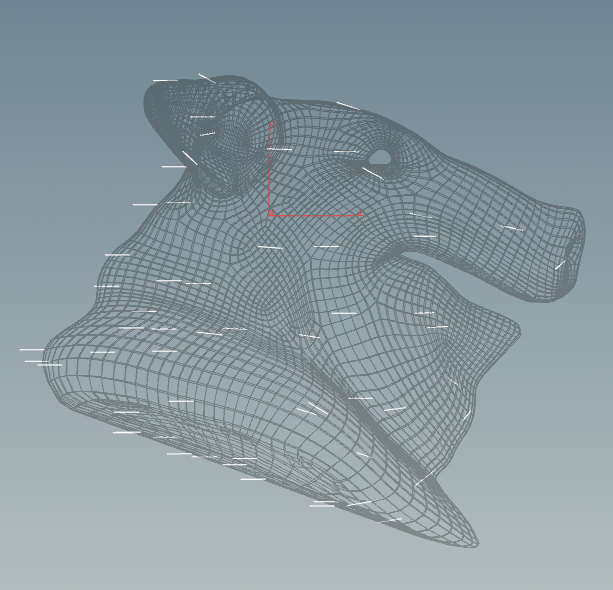 Technical Discussion » How can I get a directional bbox of a more complex rotated shape? Have you tried the Bound SOPs Oriented Bounding Box option?